Speaking today at the inaugural WTTC Africa Leaders Forum in Stellenbosch, South Africa, which was hosted by Tourism South Africa, Guevara said: “In his State of the Nation address in February this year, President Ramaphosa not only mentioned the “incredible opportunities” of Travel & Tourism, he also set a powerful target to double the number of people directly employed in our sector from 700,000 to 1.4 million. President Ramaphosa of South Africa is a “Travel & Tourism job creation champion” for his ambition to double the number of people employed in the sector, according to Gloria Guevara, President & CEO of the World Travel & Tourism Council (WTTC). “Travel & Tourism is without doubt South Africa’s greatest engine for the creation of jobs and the alleviation of poverty. It contributes to social equality, encourages the integration of women in the workplace, and enables economic self-reliance. It provides employment in parts of the country where other jobs may not exist and generates a sense of self-worth. We praise the Government for recognising those “incredible opportunities” of our sector and the steps it has already taken to realise the potential. “We see those opportunities falling in three broad areas: We congratulate the Government of President Ramaphosa for its efforts to reform the visa process so that more tourists from more countries can visit the country and recommend that this is rolled-out as widely as possible. Secondly, we support the long-held ambition to fully liberalise the continent’s air services. Finally, we see the benefits of South Africa’s continued adoption of biometrics as a way to make travel safer and more efficient. “These and other initiatives will help to achieve President Ramaphosa’s ambitions and we look forward to continuing our strong partnership with his Minister of Tourism, His Excellency Derek Hanekom,” concluded Guevara. According to annually published WTTC data, Travel & Tourism currently contributes a total of 8.9% of South Africa’s GDP and creates 726,000 jobs directly, rising to 1.5 million when all the impacts of the sector are taken into account. 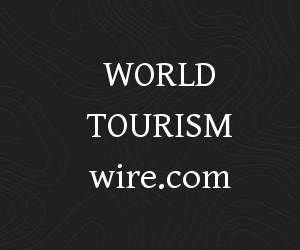 WTTC represents the global Travel & Tourism private sector. Its Members consist of more than 170 Chairs, Presidents and CEOs from companies in every part of the Travel & Tourism sector. Given the potential of Travel & Tourism in Africa, WTTC gathered the CEOs and regional leaders of the top Travel & Tourism companies from across Africa, along with Tourism Ministers and regional experts at its inaugural Africa Leaders Forum in Stellenbosch to discuss the key issues facing the region’s Travel & Tourism sector. WTTC would like to thank the South Africa Ministry of Tourism for its hospitality in helping to bring the sector together to facilitate the dialogue.